I’m most recognized as a cannabis activist and advocate, with my work beginning in 2004 when I moved to Vancouver, B.C. from my hometown Kamloops, BC. My immediate focus and favoured environment was Marc Emery’s activism organization headquarters, which included Cannabis Culture magazine, Pot TV network, Emery Direct Seeds, the B.C. Marijuana Party, and the landmark B.C.M.P. headshop. I regularly attend and organize rallies, protests and marches; I write to and visit with elected representatives to advocate for policy change; I’ve occupied the offices of Members of Parliament; and I’m not afraid to speak truth to power, even in places where there’s risk involved. Cannabis advocacy began right away. I wrote letters to newspapers, called radio shows, and attended rallies. Marc hired me to be the assistant editor of Cannabis Culture magazine in 2005, then promoted me to co-editor in 2007, where we devoted ourselves to the international publication until the print edition ceased in early 2009. My Canadian husband Marc Emery was then in U.S. prison, serving a five-year sentence for funding cannabis legalization activism worldwide with his Emery Direct Seeds business. He was arrested by U.S. Drug Enforcement Administration agents in Canada in July 2005, and faced life in U.S. prison, despite never going across the border. After years of court battles and negotiating a plea deal for five years – and no prison time for his two co-accused Michelle Rainey and Greg Williams – he was extradited in May 2010 and imprisoned for his legalization leadership. We married in July 2006, and worked hard through those challenging years. Upon his imprisonment, I was left to run Cannabis Culture magazine online, Pot TV network, and the landmark headshop and vapour lounge. I had to look after not just Marc and myself, but also a team of employees, advocates and grassroots campaigns, with a legacy stretching back to Marc’s arrival in Vancouver in 1994. With Marc imprisoned, his activism leadership was on hold – so I stepped up. I had earned media interviews for my political campaigns in previous years, but with Canada’s top marijuana spokesperson being bars, I was now being asked about everything related to cannabis and receiving invitations to speak at a variety of events in Canada and abroad. Marc and I supported the first legalization vote, Proposition 19 in California in 2010, and I went to make phone calls and be there for election day. It lost by a close margin, but my United States campaigning didn’t slow down. In 2011, I was invited to testify about legalization to a committee in the Washington State Legislature, alongside my husband’s prosecutor John McKay. I thanked him for supporting legalization, which he had recently announced, and he was stunned but pleased by my approach. I value diplomacy and always try to seek common ground, so felt good about making peace. Legalization came up for the vote in Washington and Colorado in 2012. Marc and I were official endorsers of Washington’s I-502 initiative, along with McKay – who also joined me at a national press conference in Vancouver for the “Stop The Violence” legalization campaign. The marijuana movement was getting very big and busy, in the United States and Canada. In 2013, the Sensible BC campaign kicked off, and I helped support the push for changing the Policing Act with respect to cannabis. I was tired but inspired during those times. My work included managing our businesses, running for office, regularly visiting Marc in Georgia and Mississippi federal prisons, editing his regular prison blogs to share online at the “Free Marc Emery” website (which became a globally recognized phrase and logo for the marijuana movement during his incarceration), and doing constant media and public speaking at events around Canada and the United States. When legalization passed in Washington and Colorado, I put all of my focus on changing the law in Canada during a very pivotal time. The Liberal Party of Canada had adopted cannabis legalization as official party policy at their 2012 convention, and a federal election campaign was on the horizon, with marijuana legalization set to play a key role. In early 2014, I was recruited to seek the nomination to be the Liberal Party candidate in Vancouver-East for the 2014 election. I promoted legalization for well over a year, while seeking to win the nomination vote to become the federal election candidate. 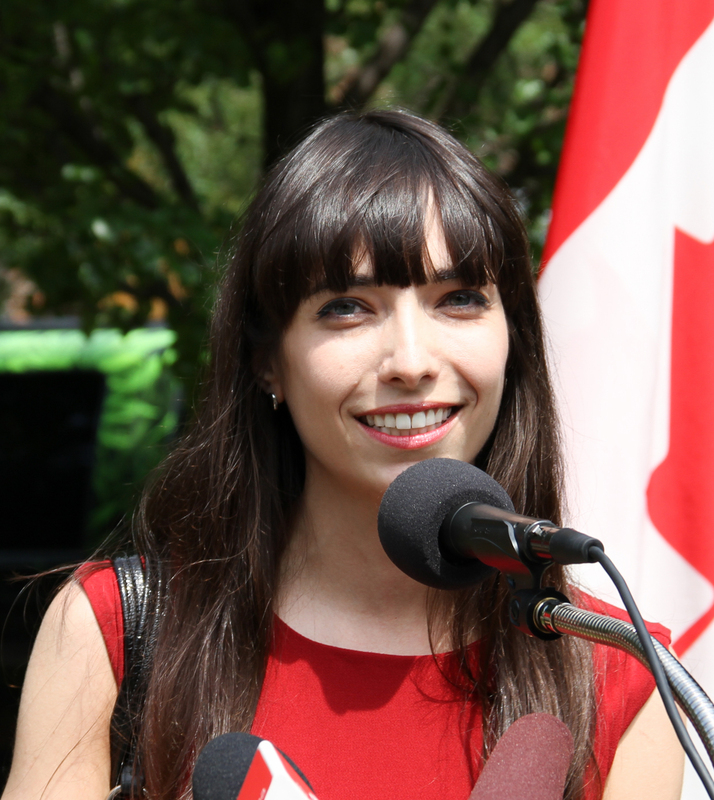 And even after the Liberal Party vetoed my candidacy in early 2015, I supported them for the message of legalization on a federal level. Things are turning out much differently than expected, years after the Liberals won a majority government. But even if those in power fail to change the laws properly, the message of legalization has to be supported when put forward by anyone in a position of power. That’s an important part of advocacy: to keep pushing for more freedom, even if you keep getting denied by governments. In early 2016, with our movement suffering setbacks through continued raids, arrests and criminalization, I decided to make a bold business decision. We would join many others who were bravely using peaceful civil disobedience to challenge and change the laws, and open a dispensary. Cannabis Culture began a franchise model of adult-use storefronts, as a way to let our Cannabis Culture name and activism history represent entrepreneurs and cannabis enthusiasts, and use the weed money to fund activism efforts just like Marc Emery had done with seed money from 1994 to 2005. The first Cannabis Culture dispensary opened on April 29th, 2016 in Vancouver, BC and growth continued rapidly after that. With each new store opening, it seemed another raid happened, and for the year following, it was a wildly busy and exciting time of activism, advocacy, business and politics. On March 8th, 2016 I was arrested along with my husband Marc, and three fellow Cannabis Culture activists: Chris Goodwin, his wife Erin Goodwin, and Britney Guerra. Most of the Cannabis Culture shops closed down after repeated raids, and we are currently before the courts. People are still being arrested for cannabis. There are still punishments, access issues, and outdated sigmas causing harm to millions of peaceful people. Our fellow citizens are treated as second-class citizens just because they consume, grow, and distribute cannabis to those who want it. My entire adult life has been devoted to ending cannabis prohibition and truly legalizing the plant in every way. Through public speaking, writing, education, political campaign, rallies and legal challenges, I will keep working for the liberation of the cannabis culture and everyone who has been persecuted unjustly for far too long, at home and abroad. Follow my work here and online through social media, and please join me in doing whatever you can to support cannabis freedom!